Volunteers Anna, Dana, and Mary did some work on Cyn Collin’s book “Cyn Collin's _ Complicated Fun_”. Combined, they transcribed over half a MILLION words worth of interviews on behalf of Cyn Collins. 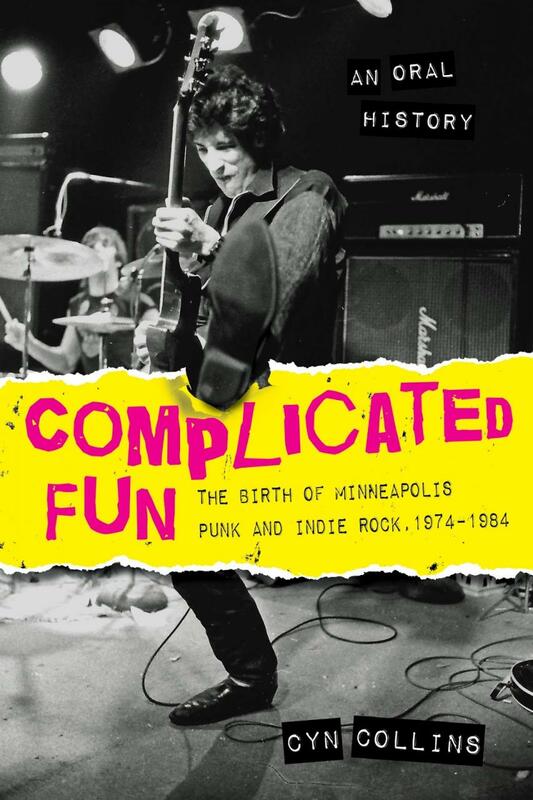 Supervisor Dan Leary stated “I can say for certain that this title would not exist but for the heroic efforts of Anna, Dana, and Mary.” Cyn Collin's _ Complicated Fun_ is an oral history of the Twin Cities indy rock scene of the late 1970's-early 1980's and was constructed by editing together a truly huge number of interviews with the various movers and shakers on that scene. Dan said “Anna alone transcribed 300,000 words on her own; an astounding effort for hundreds of volunteer hours. How much is 300,000 words ya ask? Well, the finished 450-page book's manuscript ended up being a mere 120,000 words. So you can see just how amazing these women's efforts were. I think when all is said and done, these 3 folks booked about a 1/2 time job's worth of transcription hours on this title. Epic effort.” Anna, Dana, and Mary have been volunteering for more than 8 years and 1,200 hours combined!